Two decades ago a man stood in front of a large rally in Istanbul and read out a few lines of poetry. Soon after, he was arrested and sent to prison for inciting religious hatred. Today, that same man presides over a government that is imprisoning poets, writers and journalists on an industrial scale. Indeed, under President Recep Tayyip Erdoğan, Turkey has the become the world’s biggest jailer of journalists with more than 150 imprisoned since the failed coup attempt in July 2016. They have been charged with terrorism offences as a result of articles they have written, posts they have shared on social media or opinions they expressed. Several, such as Ahmet Altan, have received life sentences. More than 180 media outlets have been shut down and an estimated 2,500 journalists and other media workers have lost their jobs. Unsurprisingly this year’s Word Press Freedom Index placed Turkey 157 out of 180 countries, sandwiched between Rwanda and Kazakhstan. Perhaps more surprising is the fact that of all the imprisoned journalists in the world, one third are languishing in Turkish prisons. Last week, in what European Parliament Rapporteur to Turkey Kati Piri described as a “final blow to what was left of press freedom in Turkey,” Cumhuriyet newspaper was put under new management. Several of its journalists resigned or were dismissed. “After raids, legal proceedings, arrests & imprisonment of its journalists, last independent newspaper Cumhuriyet now taken over by ultra-nationalists, aligned with President Erdogan,” she wrote. And it is not just Turkish journalists who are being targeted. Last Tuesday, Austrian journalist and student Max Zirngast was arrested in Ankara for his alleged membership of a terrorist organization. Die Welt journalist, Deniz Yucel, spent more than a year in a Turkish jail after being accused of spreading propaganda and Wall Street Journal reporter, Ayla Albayrak, was sentenced to more than two years for allegedly engaging in terrorist propaganda. And yet despite this ongoing assault, coverage of the situation facing Turkey’s journalists has been minimal and international solidarity with colleagues in Turkey has been slow to build. In an environment where our media is dominated by breaking news, it easy to see why the situation facing Turkey’s journalists, as well as the wider crackdown against perceived government critics, struggles to get coverage. 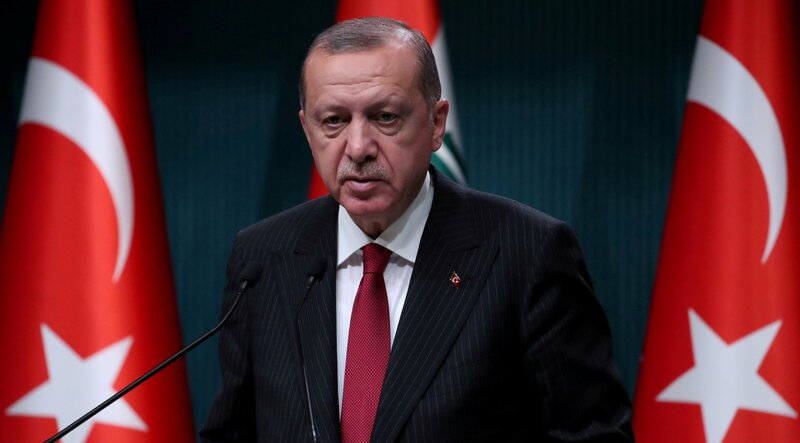 But the failure of international media to give prominence to Turkey’s crackdown has been accompanied by a willingness to give an uncritical platform to the man who its chief architect. On the first anniversary of the coup attempt, President Erdogan was given space to write and opinion piece in the Guardian in which he claimed Turkey was “defending democratic values.” Last month The New York Times made space on their editorial pages for him to write about how “evil continues to lurk around the world.” And last week he was given a column in the Wall Street Journal to pen an opinion piece about Syria. When facing dark times, journalists need to stand together and show solidarity with colleagues who have been jailed. It is important for them to recognise that they are not working in isolation and to remind the world that a free press is vital for a healthy society. There is a joke doing the rounds in Turkey about a prisoner who goes to the jail's library to borrow a book. The librarian tells him apologetically: "I’m sorry we don't have this book, but we have its author." Whilst the humour might be dark, that fact that people in Turkey still share jokes is a reminder that whilst journalists can be imprisoned, ideas can never be locked behind bars.